With the price of a new mattress and the awareness of how important a good night’s sleep is, it’s no surprise that shopping for a new bed mattress can be both exciting and daunting. With the way, mattress shopping has evolved and the number of designs constantly coming out it’s no surprise many people spend extra time scouring the web for the best bed for them. There are plenty of beds to choose from but two brands with extremely impressive reviews backing their value are the Ghostbed and the Leesa. 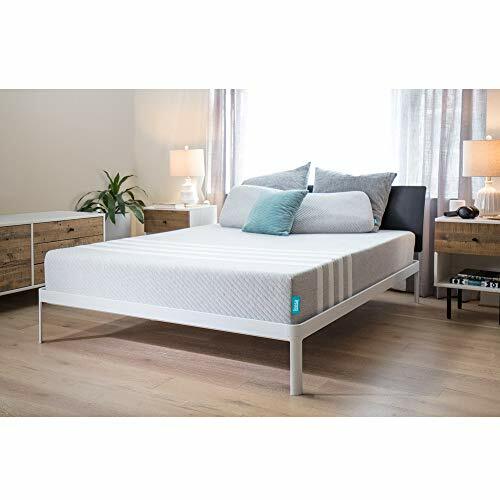 The Ghostbed and Leesa are very popular choices for two reasons – they are both memory foam mattresses and they are both sold online. Memory foam mattresses have quickly taken over the mattress market. 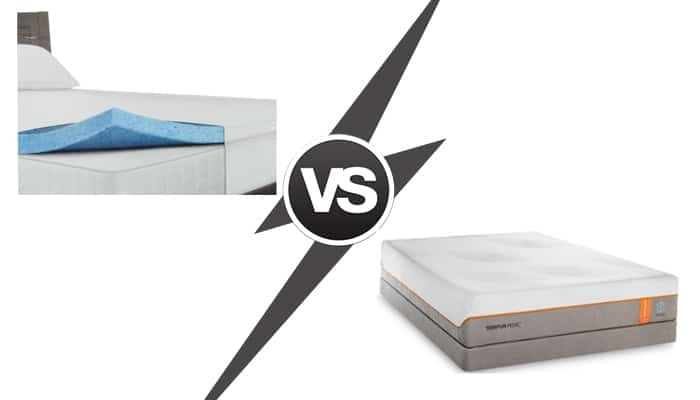 They tend to be more comfortable than traditional coil mattresses and can be found in any firmness you prefer. 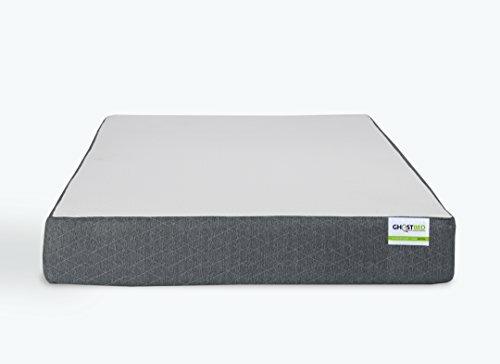 Online mattress brands have also become more popular, especially among young adults that are accustomed to being able to buy nearly anything online. 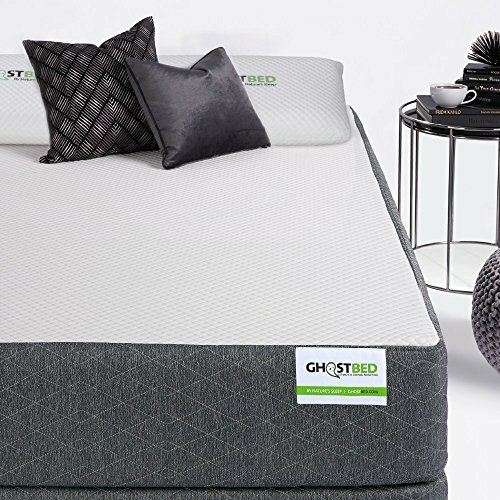 Brands like Ghost and Leesa offer extremely competitive prices since they design, build and sell their beds, so their savings in costs mean a lower price for consumers. If you’re stuck between the Ghost and Leesa or are just curious about how they compare, here is everything you need to know to make an informed decision. The Ghostbed is covered in soft plush cover, though the exact fabric used is not mentioned by the brand. Check here for the latest price on a Queen! The matching box spring doesn’t add a huge increase in the overall cost of the bed and is a great idea if your bedroom setup requires mattress support anyways. The box spring looks identical to the mattress, except it is 2″ shorter. The inside frame is made of Canadian Spruce wood and has its own 3-year warranty. Shipping is still free for the box spring, whether purchased with the mattress or on its own later. Another really amazing thing about the Ghostbed brand is that it really helps you remodel your entire bedroom. Aside from offering the mattress with matching box spring/foundation, you can also get matching pillows. Though you can buy separately, you can get a discount ordering 1 to 4 pillows with the bed at the time of purchase. The Ghostbed is a great memory foam hybrid mattress that is 100% manufactured in the US. Even though it only comes in one firmness level and doesn’t allow for customization, the thousands of positive reviews for it prove the brand knows what it’s doing. The Leesa is covered in a thin but durable polyester-lycra blend fabric in an attractive four stripe print. Check here for the latest prices and discounts on a Queen! The Leesa is still available with a limited edition Air Lift design cover, which will increase the price. Though the Leesa is more expensive, chances are it’ll actually be less expensive depending on when you purchase the mattress. This brand regularly offers amazing discounts for first-time customers and on holidays. 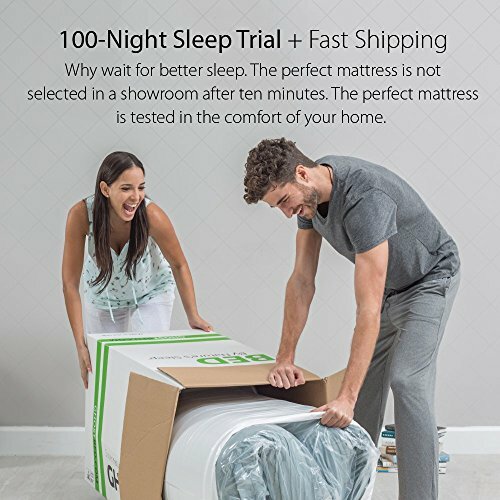 If you time it right you can get a $75 to $100 discount on your bed and even additional promotions, like $25 gift cards to stores like Target. The Leesa doesn’t offer a matching foundation or pillows but it does have a blanket. The Leesa blanket matches the bed and is made from the same material as the cover. Customers find that this blanket is incredibly soft and comfortable, and offers a nice level of warmth compared to blanket thickness. The Leesa is also 100% made in the US and is also available to purchase if you live in Canada, the UK or Germany. 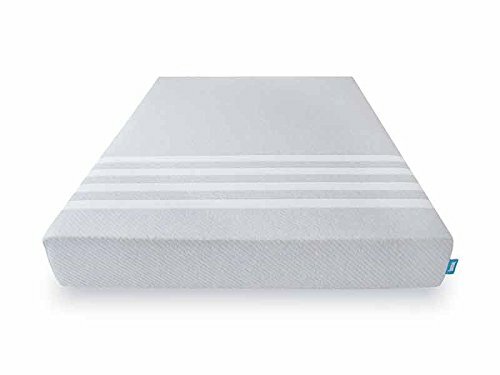 It is a great choice for side sleepers or those that don’t usually like firm memory foam mattresses. What kind of foundation do you use with your Leesa mattress? Wood or metal and which brand? At first feel, both the Ghostbed and Leesa are a medium-firm mattress but on closer inspection, you’ll find that the Leesa is slightly softer. In terms of rating, the Leesa would be a 6 out of 10 on a scale of firmness, with 10 being very firm/hard. The Ghostbed would be about a 7.5 in firmness. If you go by specific firmness descriptions you would call the Leesa a true medium feel while the Ghostbed is more of a medium-firm. 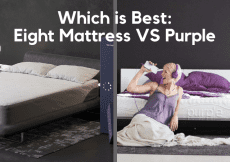 Both mattresses have a great give and feel very balanced. The Leesa does have slightly more “bounce” to it, similar to how a latex mattress feels. Ironically the Ghostbed, which has a latex top, has less bounce and feels more like a true body-hugging memory foam. The body-hugging feel just mentioned will tell you that the Ghostbed tends to envelop the body more than the Leesa, which can be a problem for hot sleepers. If you often wake up feeling warm and kicking away your blankets you’ll be more comfortable on the Leesa. 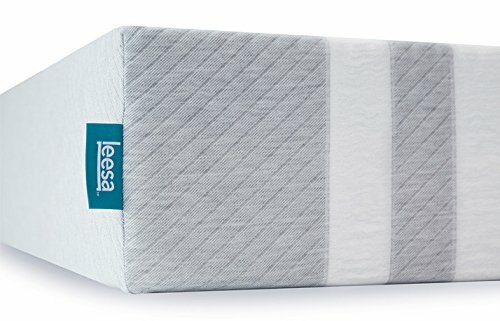 The Leesa is simply more breathable and the thinner mattress cover helps disperse heat better. If you are a cold sleeper or simply someone that sleeps pretty neutral, you’ll probably find either choice to be comfortable. Platform bed frames are very popular choices now and are perfect for memory foam mattresses. If you have a solid platform bed frame either of these beds can be placed directly on it. However, the Ghostbeddoes have its own matching foundation which the brand naturally recommends for optimum performance. 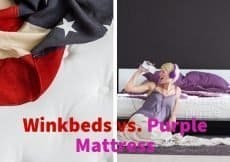 Your choice between these two will really depend on the bedroom furniture you already have, but if you like things to match and plan on using a foundation anyways, you’ll probably prefer the Ghostbed. Overall the Leesa is a slightly better mattress, but not by much. There are plenty of circumstances in which the Ghostbed could be a better option. Both brands offer amazing trial periods and return policies so you can try what you think is the best fit first without pressure. Good Morning Snore Solution Review - Does it Really Work?